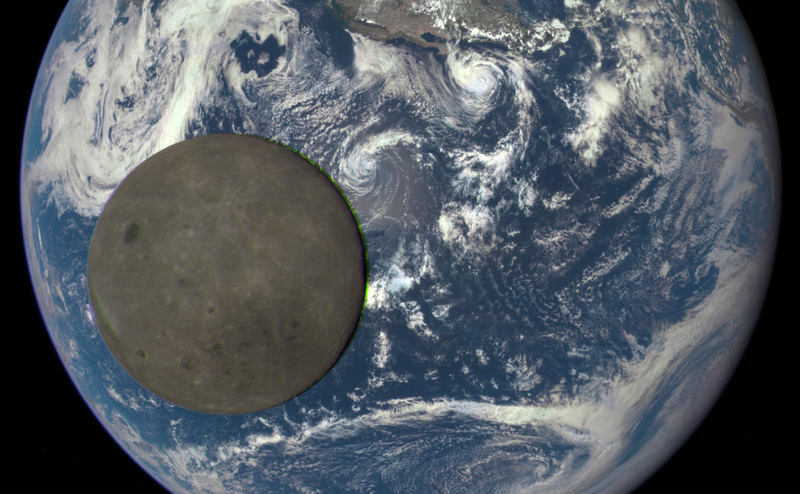 In an unusual treat for astronomers, and perhaps Pink Floyd fans, what is often known as the dark side of the moon has been captured, fully illuminated, by a camera aboard a NASA satellite. The series of images taken from NASA’s Deep Space Climate Observatory show a view of the far side of the moon, as it is more formally known, as it moved in front of the sunlit side of Earth. The images, taken on 16 July, show the moon moving across the Pacific Ocean towards North America. Its far side is shown in detail owing to sunlight hitting it, revealing a crater and a large plain called the Mare Moscoviense. Earth-bound observers see only one side of the moon because it is tidally locked to our planet, meaning its orbital period is the same as its rotation around its axis. The images of the far side of the moon, which wasn’t seen by humankind until a Soviet mission in 1959, will be captured about twice a year by NASA’s observatory, which is primarily monitoring solar winds.